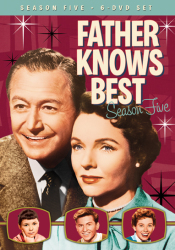 Maybe he didn't always know best, but beginning in 1954, insurance salesman Jim Anderson (Robert Young) of Springfield, Ohio, was America's favorite head of household. 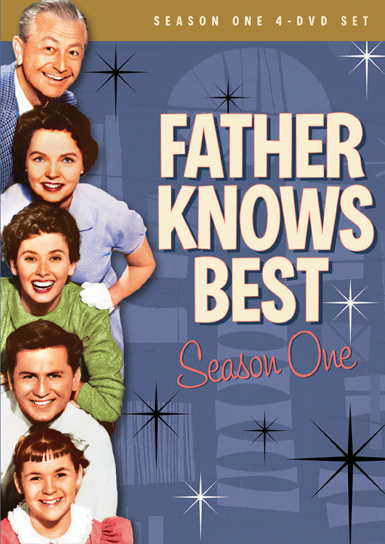 FATHER KNOWS BEST premiered on CBS in October, 1954 and has been part of the American cultural fabric ever since. 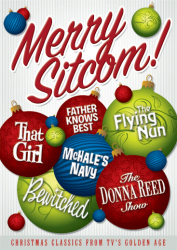 The program's depiction of a "typical" mid-century, middle-class, Midwestern American family is fondly remembered by many of us who grew up watching the show and rather enviously thinking: "Oh. So this is what happens in all the other houses." Margaret Anderson (Jane Wyatt) charmed us as the levelheaded domestic diva who stood faithfully behind the strong and benevolent father. 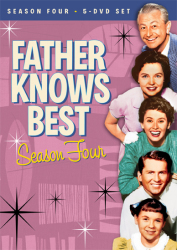 Their three children — sophisticated teen Betty (Elinor Donahue), chronically befuddled 14-year-old brother "Bud" (Billy Gray) and precocious little sister Kathy (Lauren Chapin) — faced the challenges of growing up right alongside of us. And in episode after episode, Jim and Margaret treated their children's youthful transgressions with authority, empathy and wisdom. By the end of each half hour, we'd all learned our lesson. 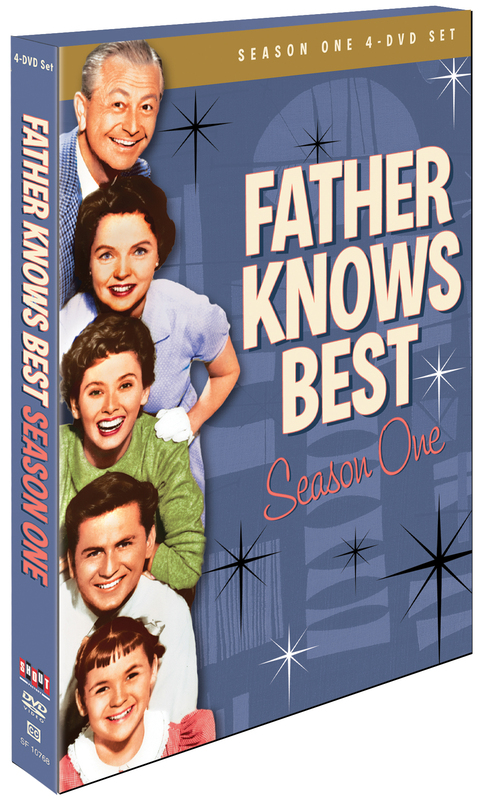 Join Jim and Margaret and "Princess," "Bud" and "Kitten" in their very first year as everyone's favorite '50s family in FATHER KNOWS BEST. 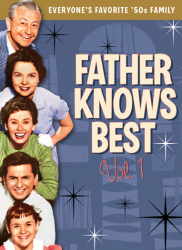 Daddy's Girls – With Lauren Chapin And Elinor Donahue: All-New Interviews With The Actresses Who Played The Anderson Sisters, Kathy And Betty. 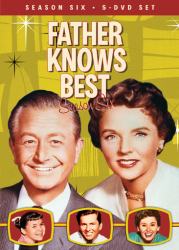 ROBERT YOUNG'S HOME MOVIES – Beautiful Footage Of Robert Young's Real-Life Family, Shot Between The 1930s And The 1970s, Reveals The Inspiration Behind Much Of Father Knows Best. Narrated By Young's Grandson Bill Proffitt. 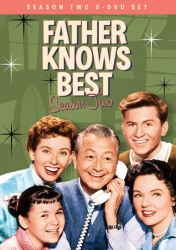 BEHIND THE SCENES: Rare Color "Home movies" From The Set Of Father Knows Best. Narrated By Bill Proffitt. 24 HOURS IN TYRANTLAND – In 1959, The U.S. Department Of The Treasury Paid To Have A Special Episode Produced. It Was Never Broadcast, But Was Shown In Schools, Churches And Civic Groups For The Purpose Of Selling U.S. Savings Bonds. 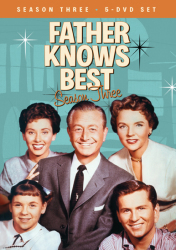 WINDOW ON MAIN STREET: "The Return" – Shortly After Father Knows Best Went Off The Air In 1960, Robert Young And Eugene B. Rodney Returned To The CBS Lineup With A New Series Starring Young, Titled Window On Main Street. This Is The Pilot Episode.